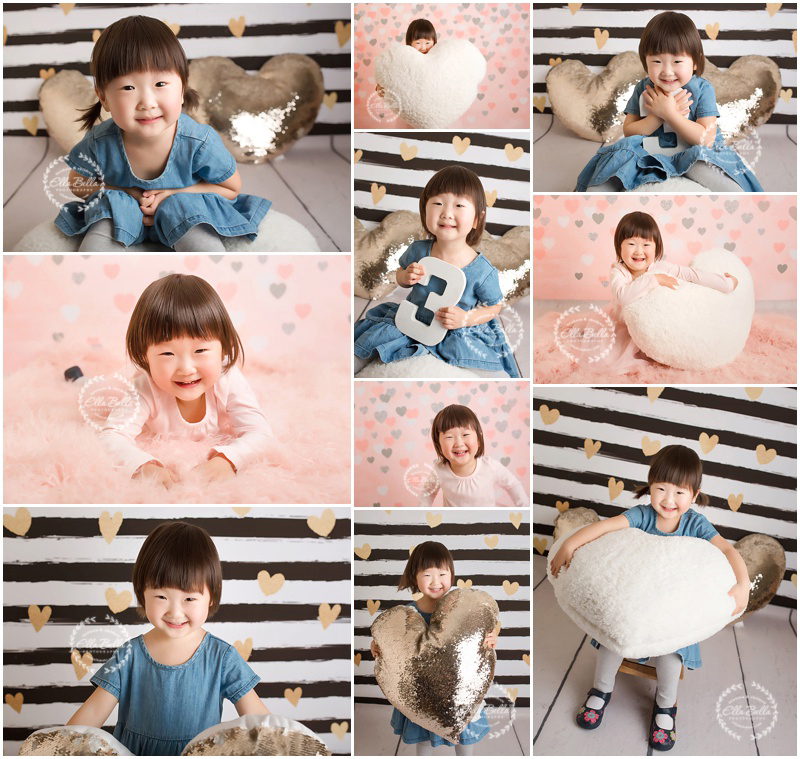 I had so much fun photographing this adorable 3 year old little girl this past week! She’s an absolute doll! 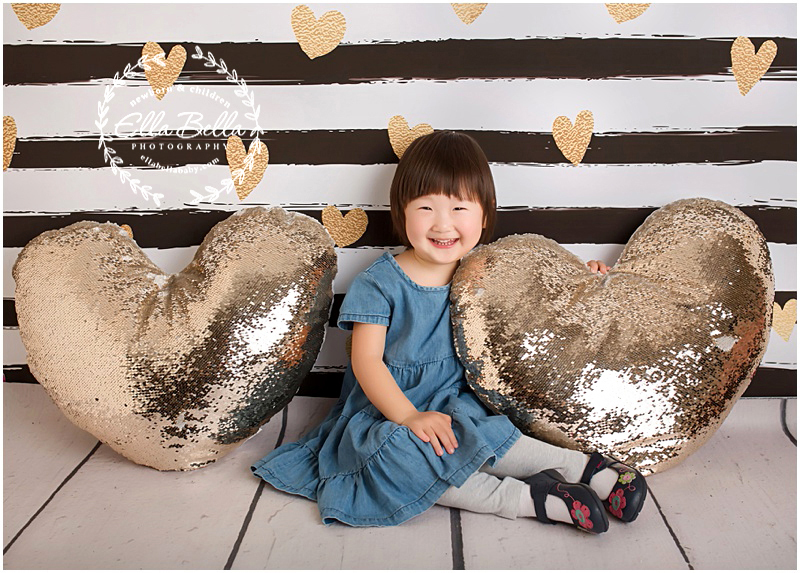 She loved playing with all of my new gold sequin and fuzzy white heart pillows! She’s about to be a big sister in a couple of months too! !